Music sensation is not an innate talent, but it is a willingness possible develop it, All learners are possible to develop their abilities by a good training, Therre is no different bettween this and developing their abilities to talk, or doing other skills. 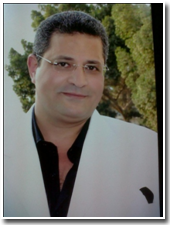 Dr.Karam Malak Kamel is one of the key fundamental in the selection of the teacher to a member withen the group of the work and he has to have the enough ability from the side of technically & educational in dealing with the receiver of the educational process with all ages. The very important basic things to test the teacher to be a member inside the team work that he has to have the enough ability of the teachnically and education in dealing with the receiver of the education process from all different ages. Institute in brief :The institute has been established in 1988 and the number of the classrooms at this time was only 5 rooms in one branch specialized in teaching music and painting, now the institute became a 98 classrooms specialized in music and painting, and distributors on 9 branches and 11 hall, specified for ballet, gymnastics and taekwondo and distributed on 4 branches. Kethara institute seeks to offer all the useful things for the students because they are our focus. The institute is doing a different ceremonies for the learners. Which they chose a learners one on advanced level and the other in a beginner and by this the learners can take advantage from the other on a higher level. This ceremony is perfomed by a grow up of distinct learners. There are certificates offer for the students after passing the test at the end of every level. There are a certificates are giving to the learners after they pass the test which it prepared after the end of each level. Also there is a protocol between the institute and faculty of music Helwan university, so that learners are tested inside the headquarter of the college, and the listening to the curriculum is done by specialized professors so, by this way we give the student a certificate certified and documented by seal logo for republic. And encourgement from the intitute to disseminate artistic and cultural awareness within the community so, it is doing competitions between the amateurs, you can follow it through all different branches or through the approved institute sites. Not only the role of the institute in learning to play the art of drawing and artistic works only, so we have been added an athletic activity such as ballet gymnastics & aerobics and taekwondo. 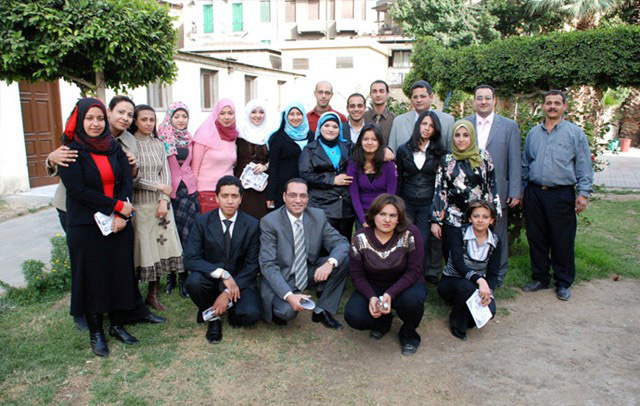 To the professor Amal Mohamed Soliman which she gave lots and lots for the institute from time & the teachers and each other , also interdependence among the students and their families , so she was the best partner. •	Born in cairo in the year of 1965. •	Professor at the faculty of music. Helwan University in 1988 with a very good grade with honours. •	He has got a Master degree in 1995. •	He has got a Ph.D in 2000. •	He has represented Egypt in the Nile international festival for children's song in 1998 & 1999, with ashow for Mentally handicapped, music and singing which he won the first place worldwide. •	He made a lot of concers for the mentally disabled in (Auc-Abdel Moneim el sawy sakia-Stadium covered hall-the theater for integrated care society-conferences hall-college of education Helwan University and Opera house). •	He represented Egypt in art festival in Turkey, in the year of 2000 (12-21 august), with playing music for childrens with mental problems. •	He represented the first ceramony on Al Sakia theater in july 2003. 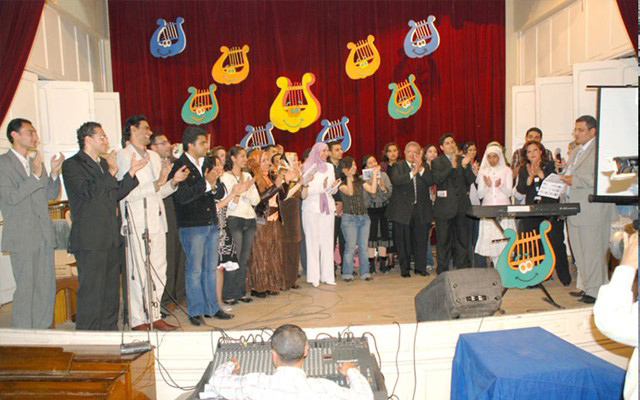 •	He present a musical pary (piano and cello) for mental problems in the seventh scientific conference (Trends musical ideas in the twentieth century) December 15,2003 in the faculty of music education, Helwan University. •	Create the first music team consist of 35 musicians from the mentally handicapped presented with them many ceramories such as ceraminy for first voluntary works, in opera house. 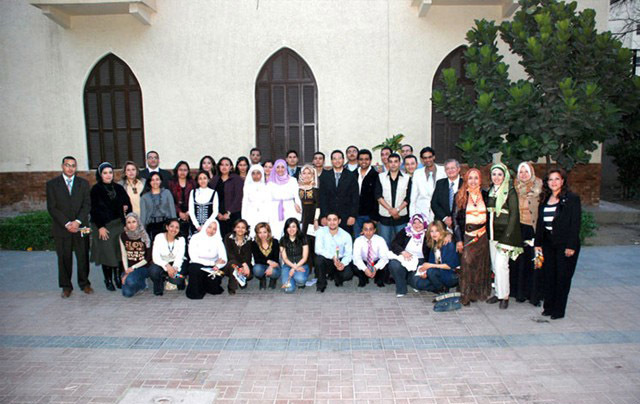 •	Participated in the activities of the 37 international cairo exhibition for mintally handicapped, 2005 & 2006 & 2007. •	He has authored books for teaching how to play on piano (part 1,2&3). •	He has authored books with a title of will sing for minally handicapped (part 1&2). •	He has a lot of reserching about teaching special music for mentally handicapped, specially the cello, and he has modified the content of the bow and the instrument itself. •	He has many of innovations and methods in the field of music education for mentally handicapped. •	Presented many episodes in radio and television for special handicapped case, worldwide. •	They have published for him several news and articale in newspapers and magazines. •His methods for teaching music to the hanicaps is the unique methods worldwide. 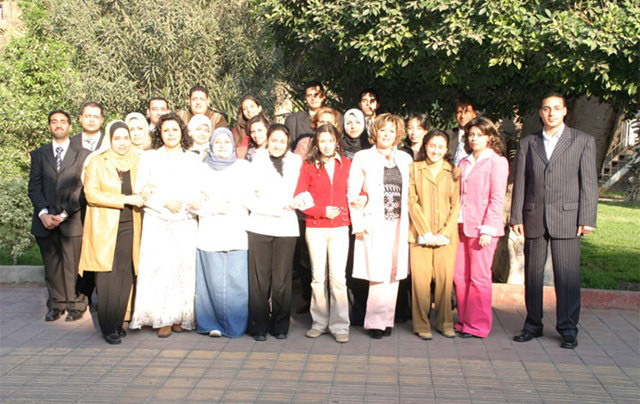 •	اThe supervisors of intellectual education schools affiliated to integrated care in music education. •	Was honored from intgrated care with Suzan Mubarak shield in 2009, on the occasion of the success of the first concert singing. 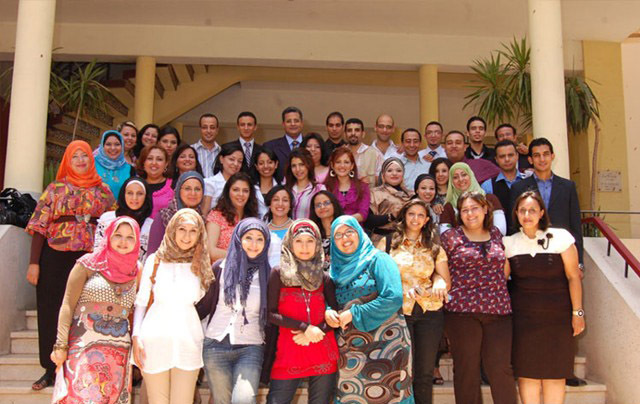 •	Lecturer in city center for training and studies in mentally handicapped. 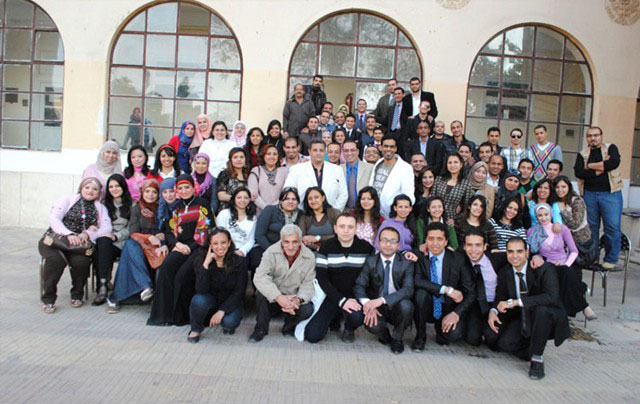 •	He holds a university incentive awards from Helwan University in the field of arts, 2008-2009. •	Participated in the arab media workshop held in parallel with the conference of the community has a duty towards the disaabled child, 2 feb / 2010 to 4 feb / 2010 . 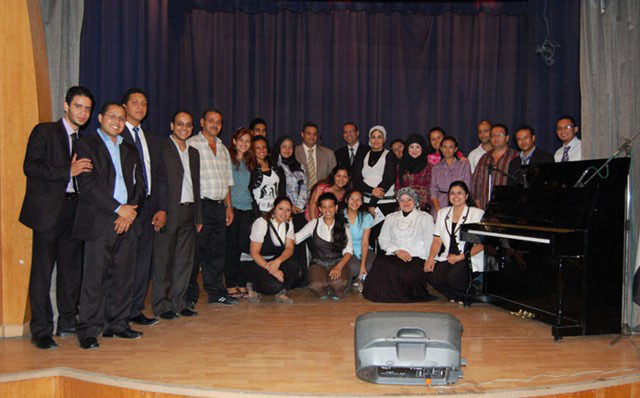 •	He presented a music (coral and playing) for mentally handicapped in the international conference (Music education .... vision for the future) from 9-11 of feb/2012 in the faculty of music education Helwan University. •	He presented a seminar and concert under entitled (the music and the handicapped) may 9/2010 in the conference hall in Supreme Council for Culture.